Student who attend the homecoming tailgate on Oct. 20 might notice a new addition to Mountain Lion Stadium: two new scoreboards. Two scoreboards were installed at Mountain Lion Stadium, located on Eagle Rock Road next to Lot 576, late this summer after the old boards showed signs of unreliability. “The old score boards just broke,” according to sophomore midfielder Tankred Steinbach of the men’s soccer team. The new scoreboards replace boards boards that had been installed in 2005 and a back-up board, which was used for a year at the stadium. The boards also feature customizable captions for names and the flexibility for full compliance with college soccer and lacrosse, and allow student-athletes and coaches to quickly see the game time and score. On Aug. 17, the score boards were used for the first time during the Men’s soccer game against Central Arkansas in an exhibition game. The boards were installed as a result of a monetary gift from insurance company Kaiser Permanente, who reached a five-year advertising deal with the Athletic Department, according to a representative at Kaiser Permanente’s Southern Colorado Administrative office. Daktronics, a company that specializes in designing and manufacturing scoreboards, made Mountain Lion Stadium’s new boards. The company, which is based out of Brookings, South Dakota, has been used by major league teams and the Olympics. 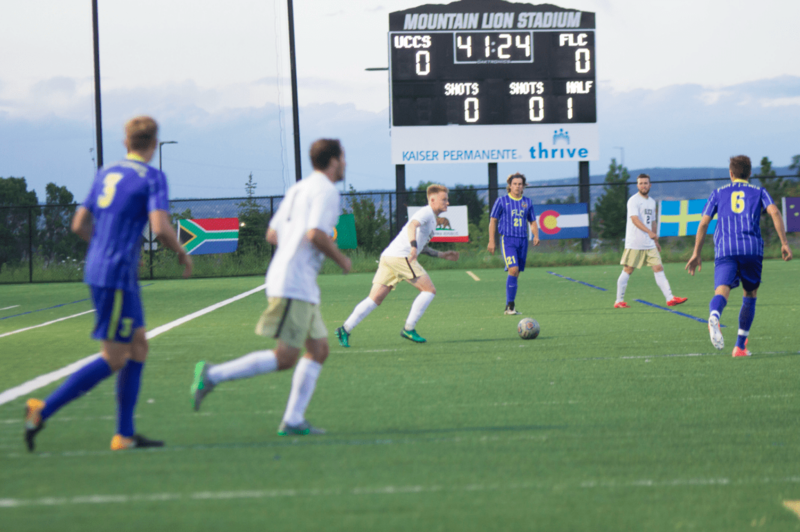 With one scoreboard on the north and south ends, they make Mountain Lion Stadium the only soccer and lacrosse facility in the Rocky Mountain Athletic Conference with two boards. Mountain Lion Stadium will host the men’s soccer team vs. CSU-Pueblo on Oct. 18 at 7 p.m. Students can also attend the homecoming tailgate on Oct. 20 from 3:30-5 p.m. at the stadium.